CAD/GIS MAPPING: Spatial Resource Services offers Mapping Consultant services to clients in the Natural Resource, Planning and Private Sectors. We are an extension to various organizations while preparing thematic maps used in Forestry, Mining, Oil & Gas, Civil Engineers and Planners. Our Custom maps are also very popular with the Private Land Ownership Sector e.g. Real Estate, Ranchers and the Outdoor & Recreational Sector e.g. Hunting, Fishing, Hiking & Camping. TOPOGRAPHIC MAPS: Standard Topo maps are available for printing along with optional Custom Topo maps using client defined area of interest and appropriate map scale to accommodate desired hard copy page size. SRS can build a custom Geo-positioned PDF map with Elevation Contour Lines, Stream and Water Body Network, along with the most current Road and Trail Network data available. SRS offers hard copy printing of your digital Geo-positioned PDF map, or load the digital PDF onto a GPS enabled IPAD for navigating, or ask SRS to convert the digital PDF into KML & KMZ file format in order to view in Google Earth. GPS DATA OVERLAY: GPS data collected on devices such as Garmin or Magellan typically require digitizing to smooth Tracks in order to generate clean spatial Polygon, Polyline or Point GIS datasets. SRS will process the Native GPS source file and offer mapping services and overlay onto Topographic or Imagery Maps. 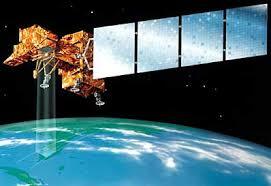 Clean GPS data will be Government compliant for any type of digital data submission. As an option your new GPS data may also be converted into Google Earth KML & KMZ format for public sharing and Web viewing. Custom GPS files may also be built and loaded onto your GPS device in order to help navigate to Locations using Tracks and Points you may identify from a digital or hard copy map. DATA FORMAT CONVERSION: SRS converts Data in order to be compatible with hundreds of file format types and the client software needs. Data conversions may also be for the purpose of viewing incompatible Data or Imagery file formats or having Data or Imagery display in the desired Geographic Projection and Geo-Position. SRS provides services to many clients that have non-conforming data and prepares the data so it will meet Government submission or various application requirements. SATELLITE & AIRPHOTO MAPS: SRS can overlay client Data on top of the latest Satellite or Airphoto Imagery Backgrounds available. Our Custom maps provide a visual representation of the land surface and add countless value to any normal map not utilizing imagery background. SRS has access to High Resolution imagery which produces stunning printed enlargements for any work project or gift idea. NEW IMAGERY ACQUISITION: SRS creates Geo-positioned maps with optional available imagery as a background for client custom maps upon request. In the event the available imagery for a map is not current enough or acceptable for the client needs (i.e. date, resolution, clarity), SRS may explore and provide options to the client for alternate or new image acquisition at additional cost. LOCAL & WORLD MAPS: SRS prepares Local & World Maps in a similar fashion to the Topographic & Imagery Maps. Some past projects are neighbourhood maps, private property, business sites e.g. mines and exploration, or gifts to friends or relatives that may live anywhere around the World. Thematic data overlays used on the maps are subject to availability. DIGITIZING SERVICE: SRS can reproduce digital data from any type of submitted map or hard copy map with mark-up line work and digitize into geo-positioned CAD/GIS Polygon, Polyline and Point datasets. Similar to the GPS process, data will be spatially clean and ready to generate a map with your data on the Topographic or Imagery Maps. You will receive the spatial datasets, optional PDF and hard copy print of the area of interest.